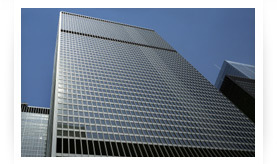 Capabilities - Extrusion Presses, Machining Equipement, Curtain Wall and Aluminum Ladder Fabrication. 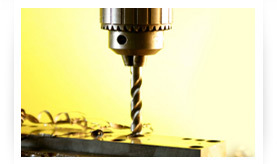 Keili Metals has excellent machining and fabrication facilities. 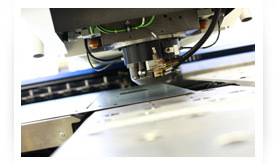 Once your profile is extruded, it can be further fabricated, cut to length, machined, drilled, punched, notched, bent, and assembled into a semi-finished or fully finished product. We ensure the latest technology for machining and fabrication such as cutting, drilling, counter-sinking, punching and piercing, reaming, milling, boring, shearing, notching, turning, coining, tapping and perforating to produce value added products. Advanced ISO 9001 certified production facilities, professional management systems, precision inspection equipments and qualified work force are the quality assurance aspects that guarantee product quality. annual production ability of 90,000 tons and growing as new equipment is insalled. We can tool up to 12" dies. Our largest round bar is 4 inches. We can produce as high as a 10" SCH 80 pipe as well. 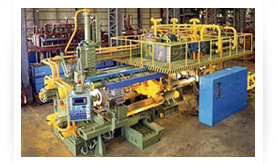 Milling Machines, Notching Saw Machines, Punching Machines, - 35 units total.